Having a chopping board close to hand is a practical option in any home. 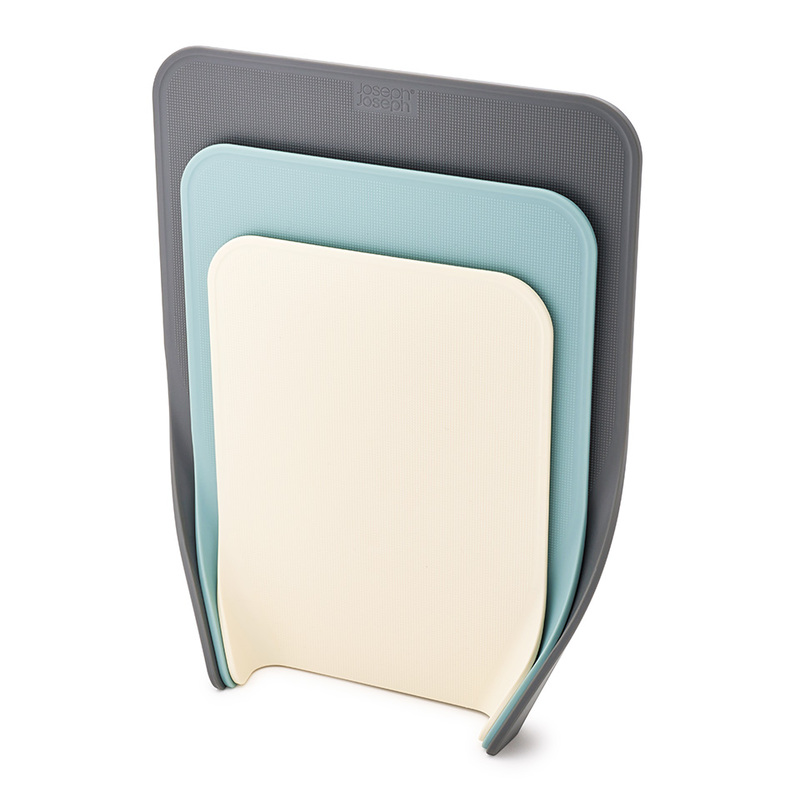 The Joseph Joseph Nest™ three-piece chopping board set features three boards of different sizes that have curved edges, allowing them to be stacked upright — reducing the amount of worktop space they take up when not in use. The curved edges also act as a chute, making it easier to transfer ingredients from the chopping boards to a pan. Dishwasher safe for your convenience, the opal set features attractive white, blue and grey shades and each board has non-slip feet to prevent movement when in use. The textured knife-friendly surface stops the knife from slipping. When stacked upright, the Joseph Joseph set measures 25.5 (W) x 5.7 (D) x 34.3cm (H).